Here’s a netball legend that needs no introduction. Sue is the lifeblood of 9’s Wide World of Sports Netball Commentary Team, offering unique and entertaining insights into the game. She’s also a respected and successful high performance coach, mentor and champion of the #wakeupnetball movement. If that’s not enough, she’s established The Good, The Bad and The Ugly coaching program with Lyn Pemberton. What advice would you give coaches to stay motivated? Take pride in your role, lead with confidence and keep the message simple. What are your proudest coaching moments? Yesterday’s training and tomorrow’s game. My coaching style has evolved over the years and now sits more as a player-centred coach. While I still demand a standard, I try to ensure players are given as much opportunity in the training environment to solve and lead. You’re in charge of book club! What book would you choose? “If at first you don’t conceive” by Liz Ellis. At all friendly bookstores now! We asked Sue’s co-coach Lyn Pemberton the final question. If Sue were an animal, what would she be and why? Sue has to be an octopus , one of the top 10 smartest creatures on earth! Arm 1 – Plays music by ear, sings and teaches others to do the same, creates bands out of netballers, writes “The Centurions stage play”. Arm 2 – Interior designer. She has an amazing eye for right and wrong, same with her dress code – drives me nuts she can throw on anything and it looks a million dollars. Arm 4 – Innovative brilliant netball coach, mentor, educator and empowers all within her touch (with honesty). 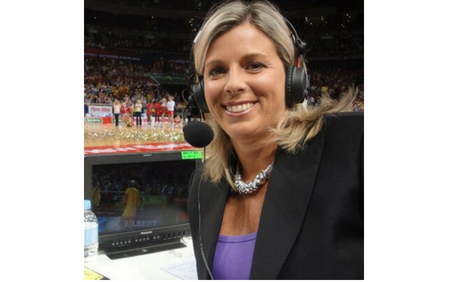 Arm 5 – Best commentator in the world of netball and could call other sports if she pursued. Arm 6 – Awesome sense of humour, honesty, integrity and very strong on family, loyalty and friendships. Arm 7 – She’s a gardener – ha ha – “prune, feed, water it should be great”. She looked after our business one time and that was the standard feedback to all queries. Arm 8 – A very decent netballer in her time; don’t volunteer to catch any of her balls though.